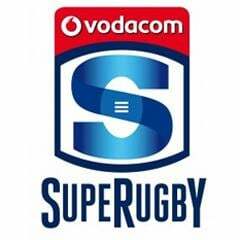 Cape Town - Fit-again Stormers wing Kobus van Wyk will slot straight back into the starting XV for his team's Super Rugby clash against the Chiefs at Newlands on Saturday. The powerful runner has shaken off the calf muscle injury that delayed his start to the 2015 season and wins back the No.14 jersey from Johnny Kotze who drops out of the squad this week. Kotze, after an excellent start to his debut season at this level, is resting a slightly troublesome AC Joint. The return of Van Wyk is one of four changes to the unbeaten Stormers starting line-up, the other significant change being at halfback where Kurt Coleman and Louis Schreuder rotate with Demetri Catrakilis and Nic Groom, respectively. At lock, meanwhile, Jean Kleyn comes in for Eben Etzebeth, who is being rested as part of the South African Super Rugby franchises' agreement with the Springboks. Kleyn, of course, came off the bench last Saturday as the Stormers made it four from four with a deserved 29-13 victory over the Sharks. Regular No.5 lock Ruan Botha, over his minor concussion, returns to the matchday squad this week via the bench, where he is joined by experienced loose forward Schalk Burger, who is set to win his 99th cap for the Stormers. Whilst Burger is on the verge of his 100th appearance for the Stormers, following in the footsteps of Andries Bekker, Jean de Villiers and Peter Grant before him, 23-year-old loosehead prop Steven Kitshoff will make his 50th appearance this Saturday. 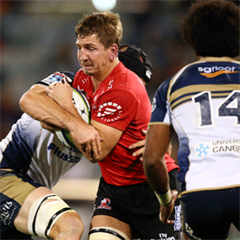 "We're in for a big one this weekend, of that there is no doubt," said Stormers head coach Allister Coetzee. "It's not for nothing that the Chiefs have won the Super Rugby title twice in the past three years and we need to be at our very best to win this one. "They will test our defence in a different way, more so than before, as their biggest threat is the variety they bring on attack." The Stormers have a bye next weekend, which will come after five games in a row, before they head abroad for a tough four-match tour of Australasia.